Moviment Graffiti may not appeal to everyone’s tastes. As both an environmentalist and political lobby-group, the NGO has developed a style of activism that is often viewed as provocative and polemical: especially by those who have an interest in maintaining the status quo. Whatever one makes of their methods, however, there can be little doubt as to their consistency. Moviment Graffiti have been protesting against Malta’s fuel stations policy ever since the announcement of an ‘imminent’ revision of policy in 2015, which never saw the light of day. 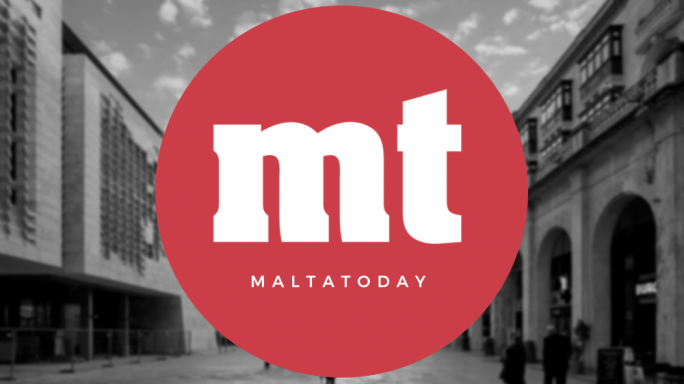 Specifically, Graffiti objects to two aspects of this issue: the fact that this urgently-needed revision has very evidently been stalled, and placed on the backburner; and that the proposed revision itself would do nothing to stop the mushrooming of more ODZ fuel stations… even if Malta also has a policy to encourage electric cars in future. On both those counts, Moviment Graffiti is entirely correct. It is not merely absurd, but also insulting that such an important policy revision has been allowed to gather dust for so long… even though both the Transport and Environment Ministers have acknowledged its importance. “We started a revision of policy immediately, and it needs to pass through the channels. I sent the objectives to the executive Council made of PA members and ERA members,” Transport Minister Ian Borg said, when facing Garffiti protestors at the Planning Authority last week. The minister added that a new policy will be put forward for public discussion in April. This is, however, a straightforward case of deja-vu. In reality, the target date for this revision has been postponed time and again over the past year and seven months. Neither Borg nor Environment Minister Jose Herrera have given a satisfactory account for the delay so far. This would be urgent enough in itself; but the fact remains that as many as 16 applications for ODZ fuel stations have been submitted to the Planning Authority, with four having been accepted already and the others still being processed, covering a total area equal to six times the Floriana Granaries. Additionally, two applications for ODZ fuel stations, that were withdrawn on the 26th February by the applicants, may be re-submitted at a later stage. Moreover, existing policy allows for the development of both new and relocated fuel stations on up to 3,000m² of agricultural and natural land designated as ODZ. This would be unacceptable, even in a country which didn’t also have plans to phase out petrol-fuelled cars in the coming decades. Government’s evidence reluctance to pursue a revision the fuel stations policy also casts a dark shadow on the policies rushed through by the newly-elected Labour administration in 2013. While still in its honeymoon period, the Planning Authority approved a series of policies regulating tall buildings, rural development, hotel heights, fireworks factories, fuel stations, urban development and chairs and tables in front of restaurants. These policies were meant to fill a policy vacuum left by previous PN administrations which preferred ad hoc approval of individual projects. Yet rather than addressing this major shortcoming these policies seemed tailor-made to kick-start a construction boom. The fuel station policy was originally aimed at regulating the relocation of existing petrol stations from residential areas. Instead, the policy was designed in a way to facilitate the approval of new petrol stations through well-crafted loopholes, like that allowing ODZ development opposite and adjacent to industrial areas and areas of containment. By the PA’s own admission, these changes to the original draft were made following “meetings with individuals.” It is not enough, it seems, that government drags its feet to accommodate these individuals; but the regulator also amends its draft policies on their suggestions. At this point, it would be facile to deny that the fuel policy revision has been shelved, because it would be detrimental to vested interests of a few individuals. Meanwhile, Malta has been turned into a country of fuel stations. It is patently absurd that the PA would even consider new fuel stations, just a few metres along the same street from existing ones… let alone stall an entire policy to prolong the status quo. Revising the policy is now an urgent imperative; but the length of time it is taking leaves much to be desired. It is within this context that Graffitti’s action over the weekend was a timely and poignant reminder that politicians have to be kept on their toes to deliver. But the significance of the symbolic action goes much further than just putting pressure on the fuel stations policy. Irrespective of whether one agrees with all that Graffitti do, the organisation represents an environmental conscence in a country hooked on economic growth. Graffitti activists cannot be asked where they were under a PN administration; because back then, the group was doing what it is doing today - protesting, raising awareness and putting pressure on politicians. Protest and activism is an important part of any democracy. The relative comfort that comes with a growing economy must not lull us into complacency that forces us to frown on protest and direct action… especially when activism is the only thing standing against rampant greed and political cronyism.